Waffle Knit Cardigan Just $21.99! Down From $45! Shipped! 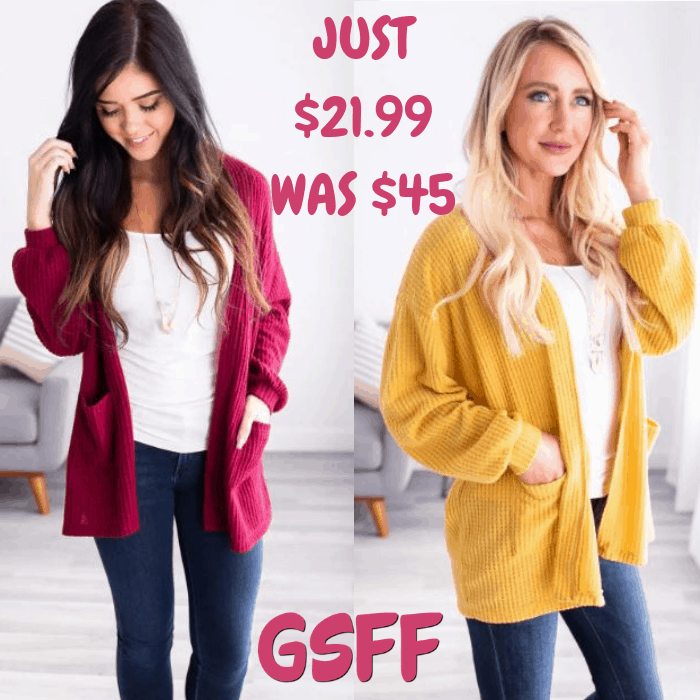 You are here: Home / Great Deals / Waffle Knit Cardigan Just $21.99! Down From $45! Shipped! For a limited time only! Jane is currently offering this Waffle Knit Cardigan for just $21.99 down from $44.99 PLUS FREE shipping! Sophisticated and comfortable, this Waffle Knit Pocket Cardigan is the best of both worlds! With a looser fit, waffled texture, trendy slits, and chic understated colors what’s not to love? This cardigan is made from super soft fabric and is so comfy! Dress it up with a skirt or rock it casual, either way, you will love this cardigan almost as much as you love the fun activities that this season brings!